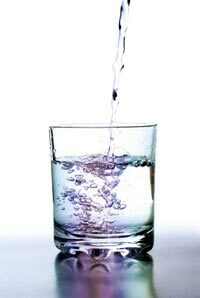 Over the past five years, desalination has gained significant momentum in California. With more than 10 projects in various stages of environmental review, design, and construction, desalination is planned to provide 1,500 to 2,000 million liters per day (ml/d) of new fresh drinking water supplies for the state by 2015. 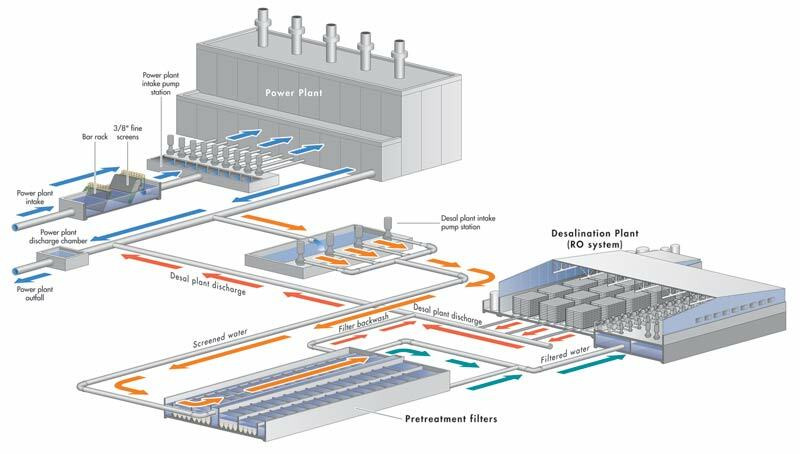 One of the largest and most advanced projects under development is the 189 ml/d (50 million gallons per day or mgd) Carlsbad seawater desalination plant (Figure 1). This project is collocated with the Encina coastal power generation station, which uses seawater from the Pacific Ocean for once-through cooling. The Carlsbad project is a public-private partnership between Poseidon Resources and eight local utilities and municipalities. The Carlsbad project received a “green light” from all regulatory agencies in California in August. Construction should begin in the spring. When completed in 2011, this project will supply 6 to 8 percent of the drinking water in San Diego County and will be the largest seawater desalination plant in the United States. In 2006, California lawmakers approved the AB 32 Global Warming Solutions Act that aims to reduce greenhouse gas (GHG) emissions to 1990 levels by 2020. In response of this initiative, Poseidon Resources has committed to mitigating the carbon footprint associated with the desalination plant operations. When constructed, this will be the first desalination project in the United States that will have a net zero carbon footprint. A desalination plant's carbon footprint depends on how much electricity is used by the plant and what sources (fossil fuels, wind, sunlight, etc.) generate the supply. The total carbon footprint for this project is estimated at 61,000 metric tons of carbon dioxide per year (CO2/yr). This estimate is based on desalination plant power use of 3.57 KWh per cubic meter of produced drinking water and on a greenhouse gas (GHG) emission factor of 248.4 kg of CO2 per MWh of electricity. San Diego County imports 90 percent of its water from Sacramento Bay Delta and Colorado River (more than 800 km) via the State Water Project. The amount of electricity needed to deliver and treat this water is 2.748 KWh/m3. Because the desalination project will eliminate the need to import 189 ml/d of water, it will save 189,800 MWh/yr, or 47,240 metric tons CO2/yr of GHG emissions from the energy used to pump this water to the county. The California Coastal Commission gives the net carbon emission reduction credit to the Carlsbad project. In the future, if the Municipal Water District of Southern California decide to import an extra 189 ml/d, it will be responsible for mitigating the carbon footprint of this water. The credit recognizes the fact that the desalination plant will not increase the total carbon footprint associated with the water supply of San Diego County. Thus the Carlsbad desalination plant’s net carbon footprint is estimated to be reduced from 61,000 to 13,760 metric tons CO2/yr. The Carlsbad project aims to eliminate the plant’s net carbon footprint by energy efficient design and operations; green building design; use of carbon dioxide for water production; on-site solar power generation; carbon dioxide sequestration by creation of coastal wetlands and reforestation; funding renewable power generation projects; and acquisition of renewable energy credits. Carbon neutrality would be achieved by a balanced combination of these measures. 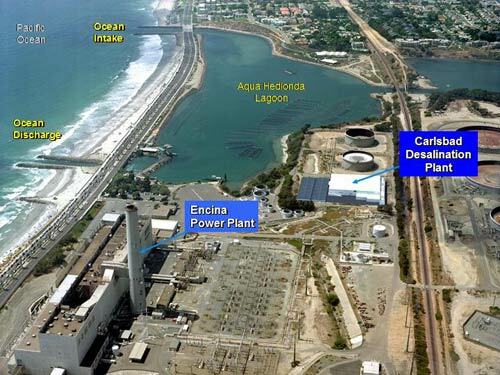 The Carlsbad plant will reuse energy from the seawater concentrate generated in the salt separation process by a state-of-the-art energy recovery system (see Figure 2). After membrane separation, most of the energy applied for desalination is retained in the concentrated stream (brine) that also contains the salts removed from the seawater. This energy-bearing stream (shown with red arrows on Figure 2) is applied to the back side of pistons of cylindrical isobaric chambers, also known as “pressure exchangers” (shown as yellow cylinders on Figure 2). These pistons pump approximately 45 to 50 percent of the seawater fed into the reverse osmosis membranes for desalination. An average of 5 percent of additional energy savings and respective carbon footprint reduction (12,308 MWh/yr and 3,057 tons/CO2 per year) are projected to be achieved by using warm cooling water from the Encina Power Generation Station as source seawater rather than collecting cold ambient seawater via a separate ocean intake. The osmotic pressure that has to be overcome during the salt separation process decreases with the increase of seawater temperature. Because the power plant discharge has approximately 5°C higher temperature than the ambient seawater, the collocation technology used for the project (see Figure 3) will yield both energy and GHG reduction savings. The plant will be located on a site currently occupied by a dilapidated fuel oil storage tank. Reclaiming the land will reduce project imprint on the environment as compared to using an undisturbed site. A key “green” feature of the plant design is its compactness. A number of desalination plant facilities (i.e., RO Building, Administration Building and Pretreatment Filters) will share common walls, roofs, and equipment. The plant will occupy less than 5 acres. When built, this desalination plant will have the smallest footprint in the world per unit production capacity (5 acres per 189 ml/d). Building design will follow the principles of the Leadership in Energy and Environmental Design (LEED) program that aims to reduce the overall impact on the environment of building construction and functions. Minimizing energy use for lighting, air conditioning, and ventilation will be achieved by, for example, translucent panels to maximize daylight use and views to the outside, automatic light switching, monitored ventilation in the individual working areas, and water conserving fixtures for service facilities and landscape irrigation. The energy savings associated with the implementation of the green building design are in a range of 300 MWh/yr to 500 MWh/yr. The carbon footprint reduction associated with this design is between 75 and 124 tons of CO2 per year. 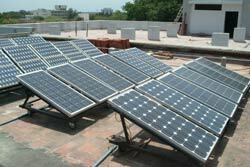 One enhancement of the green building design is the installation of a rooftop photovoltaic (PV) system for solar power generation. The main desalination plant building will have approximately 50,000 square feet of roof surface, which can accommodate a solar panel system that could generate approximately 777 MWh/yr of electricity and reduce the net carbon footprint of the desalination plant by 193 metric tons of CO2 per year. Approximately 2,100 tons of CO2 per year are planned to be used at the desalination plant for final conditioning of the fresh water for corrosion protection. The drinking water ion balance (pH) will be maintained in a range (8.3 to 8.5), which allows the CO2 to remain sequestered with the drinking water. The desalination plant is designed to use only carbon dioxide collected from industrial operations that generate this gas as a waste stream (i.e., breweries, ethanol plants, etc. ), which otherwise would be released in the air. Almost every year parts of San Diego County experience large wildfires. For example, in 2007 San Diego wildfires burned over 35,000 acres. In response to an ongoing wildfire zone re-vegetation program spearheaded by the California Coastal Commission, Poseidon Resources has committed to invest $1 million in reforestation activities. Total annual carbon footprint reduction associated with the tree sequestration project is estimated at 166 metric tons of CO2 per year. As a part of the Carlsbad seawater desalination project, Poseidon Resources is planning to develop 37 acres of new coastal wetlands in San Diego County. These wetlands will be designed to create habitat for marine species similar to those found in the Agua Hedionda Lagoon (see Figure 1), from which source seawater is collected for the power plant and for desalination plant operations. In addition to the benefit of marine habitat restoration and enhancement, coastal wetlands also act as a “sink” of carbon dioxide. Tidal wetlands are very productive habitats that remove significant amounts of carbon from the atmosphere, a large portion of which is stored in wetland soils. While freshwater wetlands also sequester CO2, they are often a measurable source of methane emissions. For comparison, coastal wetlands and salt marshes release negligible amounts of greenhouse gases and therefore, their carbon sequestration capacity is not measurably reduced by methane production. The offset of the desalination plant carbon footprint by the wetland project is estimated at 304 tons of CO2/year. For the remainder of the project’s GHG emissions, Poseidon Resources will purchase a combination of carbon offset projects and Renewable Energy Credits (RECs). Contracts for offset projects provide more price stability and are typically established for longer terms (10-20 years) than RECs (1-3 years). Offsets or RECs will be used as the swing mitigation option to “true-up” annual changes to the project’s net carbon footprint. The Carbon Action Plan for the Carlsbad project defines a roadmap for carbon-neutral seawater desalination for future projects in the United States and worldwide.